The rustic base of this unique coffee table is built from an actual cedar tree stump! 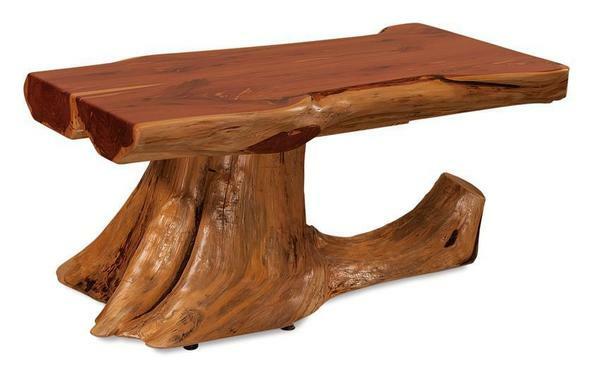 No two cedar stump base coffee tables are the same and each one is a true original with its own set of unique characteristics. This stunning coffee table is sure to become the centerpiece of your living room and will bring a hint of rustic charm to your home.